I recently learned that Sheldon Brown, a person whom may certainly be considered one of the gurus of the bicycle business, passed away on Monday. I am not one for long-winded commentary on what one person has done and how they contributed so positively to the lives of millions, etc. What I can say is that when I learned of his passing I felt incredibly sad, a sorrow that I had difficulty identifying. I knew him through our time working together at Harris Cyclery in W. Newton, Massachusetts, a funky little family owned shop with a booming internet business thanks to Sheldon's internet savvy (he recognized the power of the 'net to distribute specialized information to people all over the world early in the web's existence). I thought more about where my sadness came from and stumbled upon stored thoughts about pursuing passion. It dawned on me, Sheldon Brown epitomized the ideal of following one's passion. The dogged commitment to what his life would be was something I have not experienced very often. The loss of someone like Sheldon, someone who demonstrated what it was to create meaning for themselves is truly a loss. He was passionate about cycling (as I knew him) and had a creative and somewhat truculent personality that sometimes disguised a desire to help. Though I never saw them, I also believe he was quite passionate about the Christmas Revels. 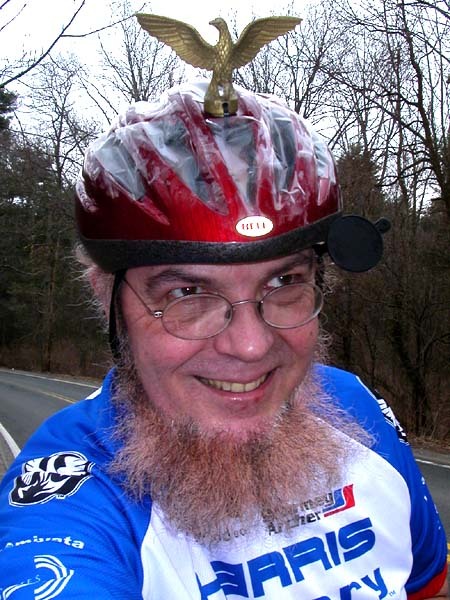 People all over the world interested in all things related to bicycle mechanics drew upon his comprehensive bicycle website, sheldonbrown.com. Who will carry on his legacy in the bicycle industry? The passing of a friend, acquaintance, or loved one has hit me much harder over the past few years. I am not quite sure why this has happened. There are a few theories I have, one of which is a general fatalism that has been building within me as I learn more about the challenges facing our world involving poverty, human rights, and climate change. Another is the fact that I am approaching the age that my father passed away at prematurely; 40. I've developed a healthy dislike of medical establishments; they make me anxious and nervous...inexplicably so. What's going on? How does this relate to what I'd like to accomplish in my life? Is the sense of passing time, time that cannot be recaptured, becoming more important? How does the passing of someone I know through one facet of my life bring these emotions out? What does this have to do with sustainability? Depending upon how you look at it, everything.